Mapbooks from SCCGIS are without an equal in the private sector. Our parcel datbase, road network/address index, aerial imagery, and other datasets have made this a very popular product. Please submit a request through the contact page for more information or to discuss a custom mapbook project. GIS parcel and other data can be made available. Please submit a request through the contact page to discuss the data you are looking for and to get a quote. 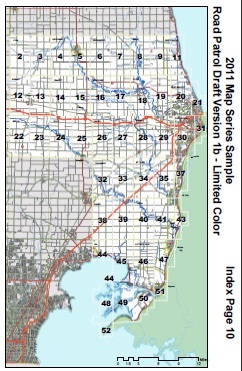 SCCGIS offers a variety of mapping services and custom map products. See Services for more information.